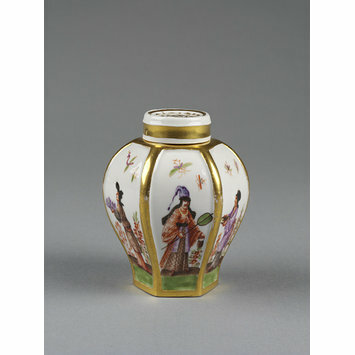 Tea caddy and cover of hard-paste porcelain. Hexagonal vase shape with flat circular cover, after an oriental model. 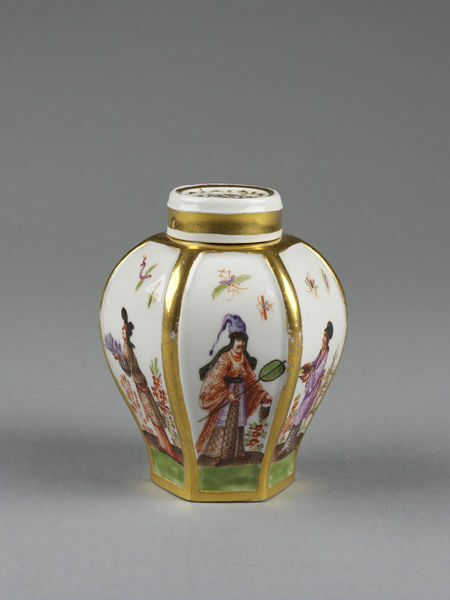 Each panel is painted with a Höroldt chinoiserie figure and flying insects, the raised dividing ribs gilt. Top of cover with gilt lace ornament. Attribution from the manuscript catalogue dates from about 1970 and was compiled by William Hutton of the Toledo Museum of Art, Ohio.